Many eyecare practices are struggling to compete with online retailers. When competing to make optical dispensing sales, you have to think about the situation from your patients’ perspective to identify why they are willing to trust anyone other than their doctor to provide them with their glasses and contacts. Below are three reasons your patients won’t buy from your optical dispensary. Poor pricing can quickly turn your patients towards your competitors. While you need to make a profit, if you over-price your frames, your patients may not return. If your optical capture rate is low, it could be a sign that your practice is pricing your frames too high. Even if you have a lot of patients looking at your frame boards, there’s a chance that patients are “showrooming” your practice. Tools like Frames Data will help give your practice an accurate wholesale price. Use this information and competitive intelligence to price your frames reasonably. Another reason why your patients may not be purchasing frames from you is that you and your staff are failing to educate your patients about the frames you offer and why it's important they purchase from a professional. Educating your patients on the importance of purchasing frames from your practice begins in the exam room, not on the showroom floor. By priming each patient on why they should buy quality frames from your practice and identifying the type of lenses that will help them see more clearly, you can build trust for the patient and assist your optician in guiding the patient to make an informed buying decision. 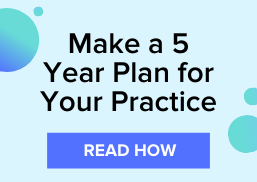 Even if your pricing is on point, if you don’t provide enough options for the different demographics in your optometric practice, then many of the patients may find better options elsewhere. If your patient ends up selecting frames from another optometric practice, then you may lose that patient to them. Keep a pulse on fashion trends and your community needs to keep your frame boards stocked with the eyewear your patients want to purchase. For more tips on how to improve your dispensary profits, download the ebook, 4 Weeks to Bigger Profits In Your Optical Dispensary.